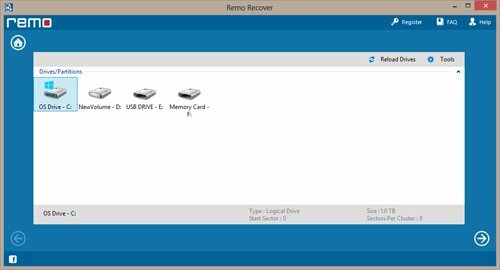 How to Recover Recycle Bin on Windows 7 ? Windows 7 is the latest version of Windows Operating system that has been developed on Vista core. Windows 7 is available in six different Editions i.e. Home Premium, Professional, Enterprise, Ultimate, Starter and Home Basic. Windows 7 provides several new features like preview, jump list, home group etc. Preview feature helps you to move between multiple programs easily. Jump list feature provides quick access to recently used documents, whereas home group is a new feature introduced in Windows 7 that helps to share files and printers in a home network. Windows 7 offers 2 different methods to perform deletion operation. Dragging the object to the Recycle Bin. Right-click the object and then selecting the Delete option. Recycle Bin is the area that contains all the deleted data and it can be emptied manually. Windows 7 allocates up to 10 percent of disk space for Recycle Bin and the size of Recycle Bin can also be changed. Recycle Bin provides protection against accidental deletion of files i.e. 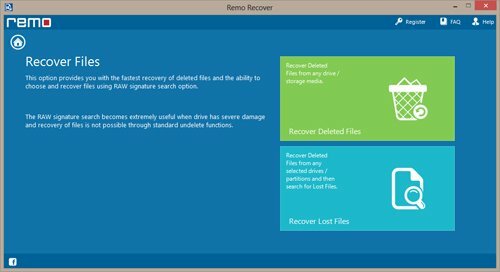 if the files are still in Recycle bin then those files can be retrieved or restored using restore option. Accidentally emptying Recycle Bin: Files might be deleted from Recycle Bin using “Empty Recycle Bin” option in the toolbar. If you accidentally click on “Empty Recycle Bin” option then the files and folders that are stored in it get permanently deleted and those files cannot be restored using restore option resulting in loss of files. Deletion of files using Shift + Del keys: Generally, files or folders can be deleted either by using Windows Explorer or by using Shift + Del keys. If you delete files using Shift + Del keys then those files bypass the Recycle Bin instead of moving to Recycle Bin. If you need to get rid of very large files or you do not need those files back then you can use this method. Accidentally deleting important files using Shift + Del keys may cause data loss. Accidentally Deleting larger files: If you delete files, whose size is larger than Recycle Bin size then they bypass the Recycle Bin instead of moving to Recycle Bin. Accidentally deleting larger files may result in loss of files. Data loss after Recycle Bin is full: Storage capacity of Recycle Bin is ten percent of hard disk storage capacity. When Recycle Bin gets full, then it starts deleting older files automatically resulting in data loss. 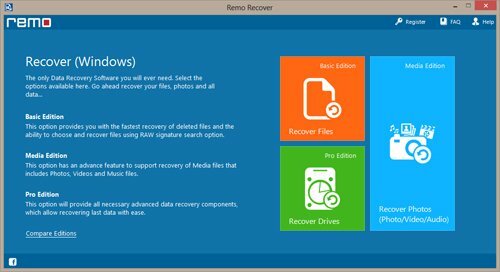 However, the files are not permanently deleted from the hard drive and you can recover Recycle Bin using reliable data recovery tool. Precautions that are to be taken to avoid data loss are to take backup of essential files instantly. Before clicking on “Empty Recycle Bin” option, make sure that Recycle Bin does not contain essential files that you need. Check twice before deleting larger files and files using “Shift + Del” keys. Recycle Bin Recovery Software quickly recovers files deleted from Windows 7 Recycle Bin. This software can also recover data deleted using Shift Delete. 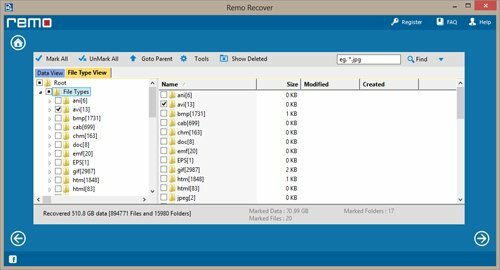 This software has an ability to restore erased files from Thumb Drive. Different types of files can be recognized and recovered on the basis of their unique signature. This software supports FAT16, FAT32, NTFS, NTFS5 and ExFAT file system. It has a potential to retrieve deleted images from Recycle Bin on Windows operating system. Follow below mentioned steps to retrieve files which bypass Windows Recycle Bin. Step 2: Select “Recover Deleted Files” option from the next screen, in order to recover files that are accidentally deleted from Recycle Bin as shown in Figure 2 . Note: Save the recovered data to another healthy drive / partition. Never download or store new data to the drive from where you want to recover your deleted data.